Lightly seasoned and deep fried. Each order consists of 4 whole chicken wings. Choice of wings alone or with rice (additional cost). Made with Alaskan pollock fish. Filleted, battered, and deep fried. Comes with 3 large pieces and tartar sauce. Pieces of white meat chicken battered and fried. 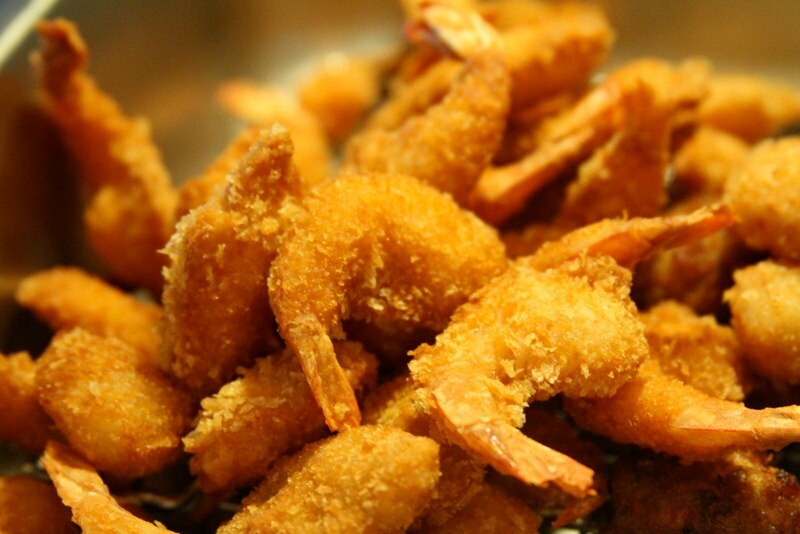 Carefully seasoned, battered and fried baby shrimps. Comes with tartar sauce. Shrimp, butterfly style. Battered and deep fried. Served with tartar sauce. 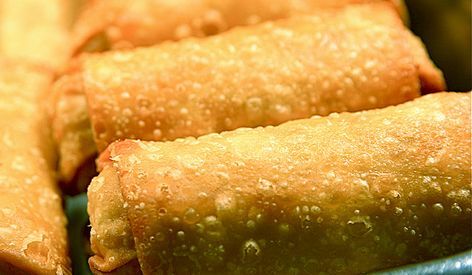 Fresh made egg rolls filled with shredded cabbage, minced chicken and celery with our special seasoning. One in each order. 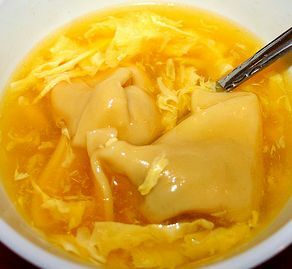 Wonton wrappers filled with slightly sweetened cream cheese. Served with sweet and sour sauce. 8 pieces. Seasoned pork, wrapped in wonton skins and deep fried. Served with sweet and sour sauce. Delicious pan-fried pork dumplings served with our special homemade dumpling sauce. Delicious Pork dumplings deep fried and served with our special homemade dumpling sauce. Delicious steamed pork dumplings served with our special homemade dumpling sauce. Sweet biscuits fried and coated with sugar. 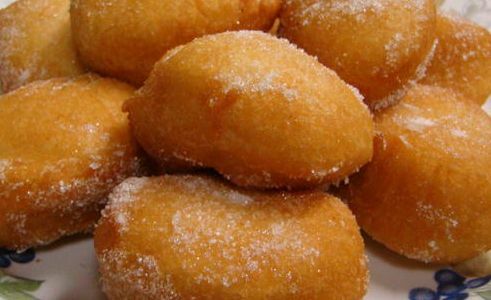 Fried donuts coated with our delectable cinnamon mix. An appetizer sample platter with 2 egg rolls, 2 chicken wings, 2 fried jumbo shrimp, 2 chicken teriyaki skewers, and 2 cheese wontons. Comes with a pack of crispy noodles. 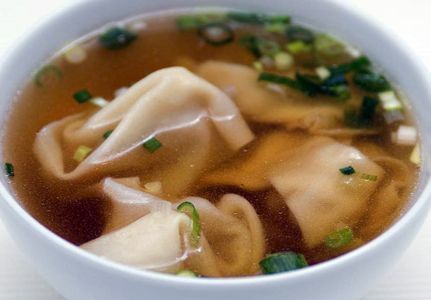 Pork wontons in savory broth topped with green onions. with shrimp, crab meat, scallops, and egg white. Made with chicken, pork, and shrimp with various vegetables. Suggestions from the chef. COMES WITH WHITE RICE. 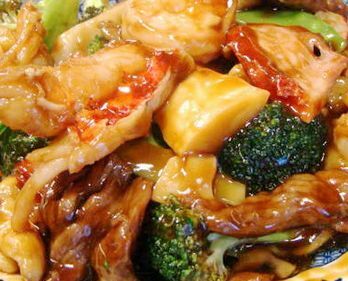 Fresh shrimp, crab meat, scallops, chicken, roast pork, and beef blended with broccoli, mushroom, and other assorted Chinese vegetables. Fresh jumbo shrimp, scallops, crab meat and mixed vegetables in white sauce. A savory blend of shrimp, chicken, roast pork, and beef with mixed vegetables. Chicken and jumbo shrimp with diced mixed vegetables. Crispy golden tender pieces of chicken served in a mildly seasoned spicy sauce with broccoli. 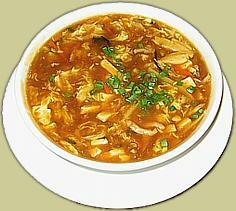 Tender filets of marinated chicken delicately sauteed and seasoned with orange peels and complemented with broccoli. 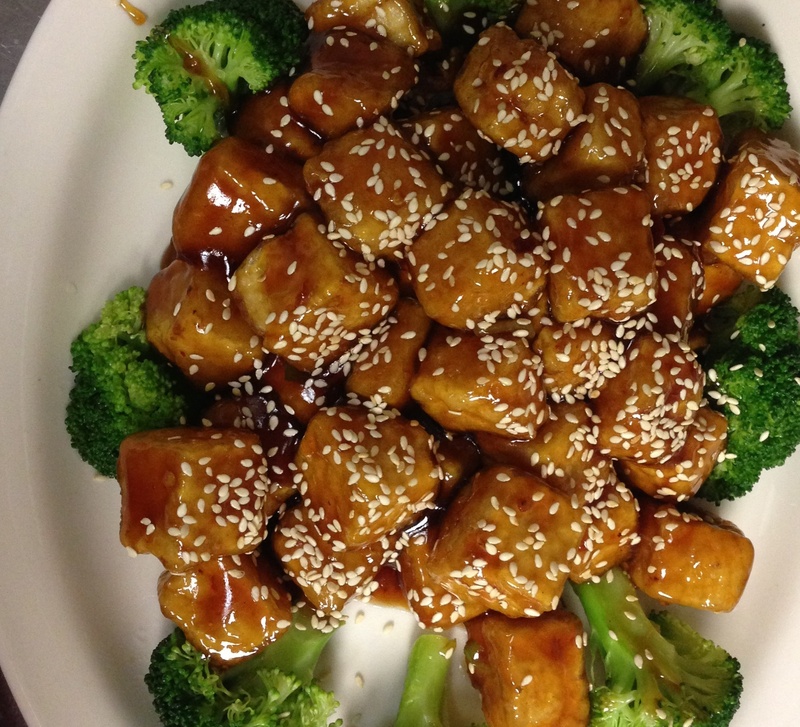 Chunks of boneless chicken deep fried and sauteed with special sesame sauce with broccoli. Jumbo shrimp sauteed with green peppers, carrots, celery, snow peas, onions and scallions in hot and spicy sauce. Shrimp, chicken, beef, roast pork with mixed vegetables with 7 fried jumbo shrimp on the side. White meat chicken sauteed with carrots, celery, green peppers and mushrooms in mild spicy sauce. Topped with peanuts. Pieces of tender chicken with various vegetables sauteed in spicy Hunan sauce. Slices of tender beef with assorted Chinese vegetables in a hot spicy Szechuan sauce. 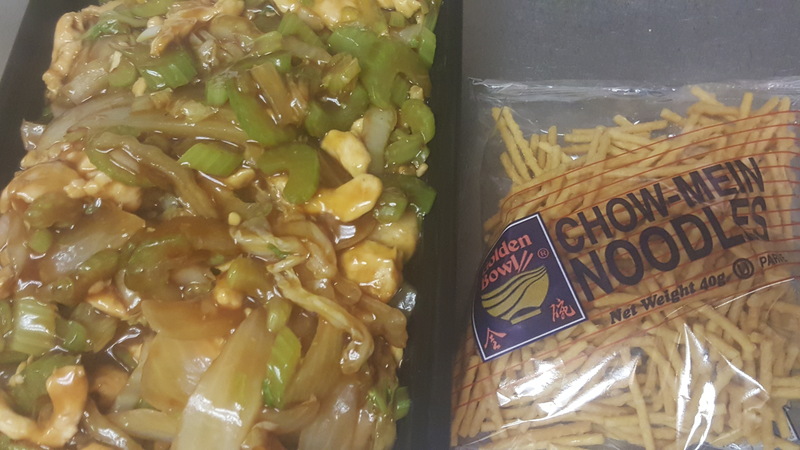 All white meat chicken sauteed in a mildly hot mongolian sauce with green & white onions. 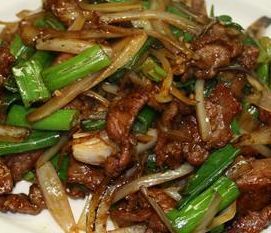 Slices of tender grass fed beef sauteed in a mildly hot mongolian sauce with green & white onions. Roast pork, chicken, shrimp, and assorted vegetables topped with boneless chicken. 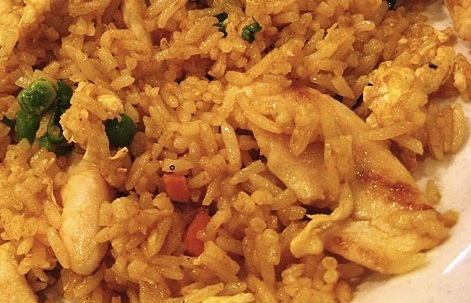 All fried rice has peas, carrots, and onions with choice of meat or veg. Comes with chicken, roast pork, and shrimp. Only onions, peas, and carrots. Lo mein are soft thick egg noodles and Mei Fun are thin rice noodles. Comes with chicken, pork, and shrimp. 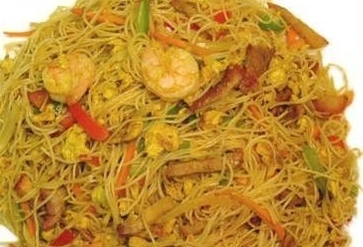 Thin rice vermicelli noodles tossed with chicken, pork, shrimp, curry powder and other various spices. Comes with sliced onions, celery, and napa cabbage and choice of meat/veg. Comes with a pack of crispy noodles and white rice on the side. Comes with diced celery, peas and carrots, mushrooms. Comes with chicken, shrimp, and roast pork. Broccoli, carrots, napa cabbage, mushrooms, green and red peppers, and snow peas. 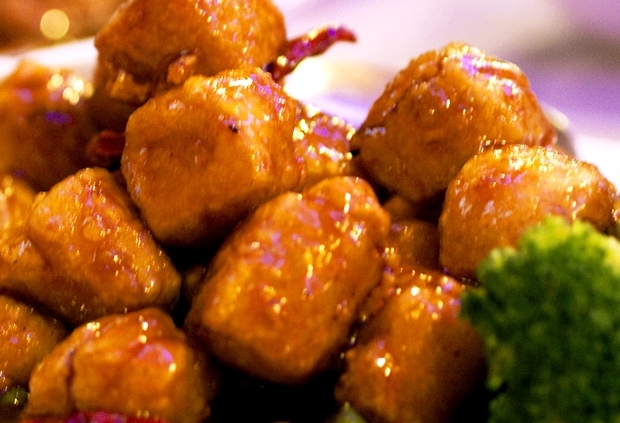 Breaded and fried tofu cubes in General Tso's sauce. Fried tofu with mixed vegetables. Wheat gluten with mixed vegetables. Comes with shrimp, chicken, and pork with sweet & sour sauce on the side. 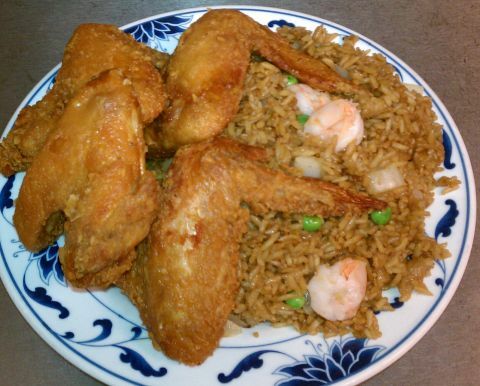 Comes with plain fried rice and a chicken egg roll. Chinese Omelette. 4 patties served with Egg Foo Young gravy and White Rice. All dishes are steamed and choice of sauce on the side. COMES WITH WHITE RICE. 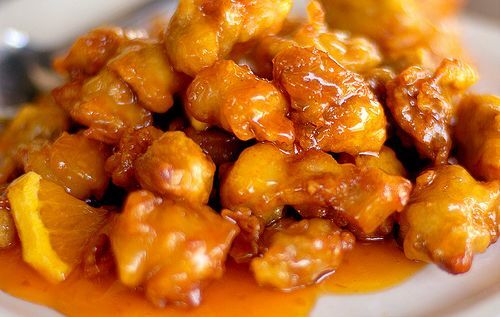 Includes 1 order of: Chef's Special General Tso's Chicken, Lg. Sweet & Sour Chicken, Lg Chicken Fried Rice, Chicken Wings, and Cheese Wontons. 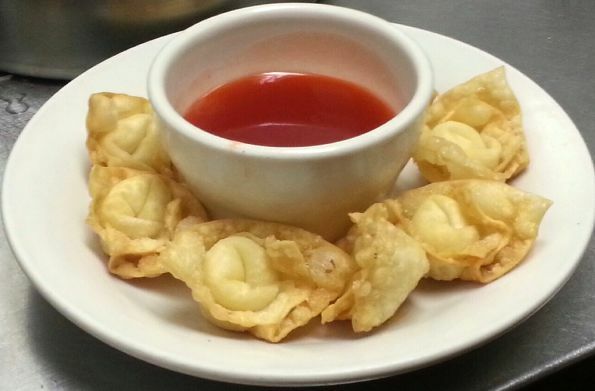 Our red sweet and sour sauce that's served with wontons and sweet & sour dishes. Please specify whether you want to add additional chicken, pork, beef, or shrimp and to which entree you wanted it added to in the special instructions. Please specify to which dish you want to add tofu to. Also if you would like it steamed or fried tofu. Please specify which dish, and which vegetables. Add this to have no plastic utensils and no sauce packets in your order.